CharlesDarwin is a Legacy Library. Legacy libraries are the personal libraries of famous readers, entered by LibraryThing members from the Legacy Libraries group. CharlesDarwin is also an author. 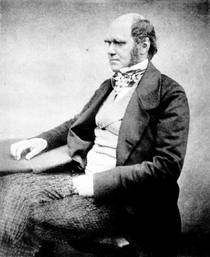 » See Charles Darwin's author page. The remainder of my library remains at my residence of Down House, and the Thingamabrarians responsible for putting my library here on LibraryThing have been unable to find a catalog of those volumes, so this is an incomplete representation of my library. A few of the volumes in the collection at Cambridge were added by Francis at the time of the donation, and were not in the original collection at Down House. These are included here and tagged accordingly.